Spectacular grade II listed six bedroom detached farmhouse and thatched barn conversion nicely located on a mature private plot within Letchworth Garden City. Coopers Farm has a wealth of history and award winning character features. External benefits include an orchard and heated swimming pool. Extended four bedroom detached family home set on a large plot. The property benefits from a ground floor extension providing an impressive modern kitchen/breakfast room and dining room overlooking the rear garden. Close to Letchworth Garden City town centre. A rare opportunity to acquire this FREEHOLD commercial building located just off Baldock High street. 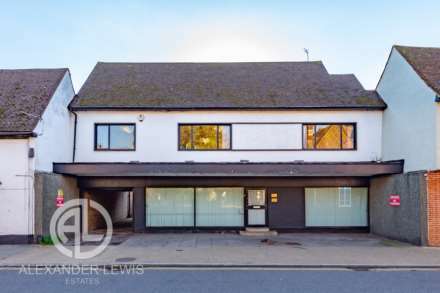 The property is currently being used as a workshop with offices above plus additional loft space, but has the potential to be converted to either a restaurant or to a single/multi residential unit. Located in a quiet cul-de-sac on the popular LORDSHIP estate is this spacious four bedroom detached house which benefits from a DOUBLE GARAGE. Features include a downstairs cloakroom, en-suite, good size lounge & separate dining room, fitted kitchen plus utility room. A must see! This attractive double fronted bungalow is situated in a highly desirable location within walking distance of the town centre & mainline station together with St Christopher`s school & St Francis college. Features include 3 bedrooms, modern kitchen/diner, en-suite, off road parking & a large garden. A superb, beautifully presented FIVE bedroom detached family home located in a quiet cul-de-sac in the popular village of Broom. Features include a spacious lounge, with separate dining room & study, downstairs shower room, utility room, driveway for multiple vehicles & garage. A must view!! A very well presented, and extended three-bedroom semi-detached property located within the ever-popular suburb of Ellenbrook between St Albans and Hatfield. ** GREAT LOCATION** This beautifully presented FOUR Bedroom Detached Family Home is situated in a quiet Cul-De-Sac in the heart of Hitchin.This property is ideal for a family, or commuter as its only a 10 Minute walk to the train station & town centre. ***CHAIN FREE*** A superb example of a unique & highly desirable four bedroom terraced townhouse located close to the town centre & train station. Set over three floors the property features three reception rooms, two bathrooms, kitchen/breakfast room, downstairs WC, garage and driveway. A must see! This beautifully presented family home offers four good sized bedrooms, one with en-suite, large kitchen/diner with integrated appliances, study, playroom, real oak flooring and parking for four cars. ***CLOSE TO TRAIN STATION*** A very well presented three bedroom semi-detached family home located close to Hitchin mainline train station. Featuring an open-plan lounge/diner, conservatory, a downstairs cloakroom, fitted kitchen plus garage & driveway. ***CHAIN FREE***Situated on one of Letchworth`s most sought after roads is this three bedroom detached home offering spacious accommodation throughout comprising of two separate reception rooms and a downstairs cloakroom. Upstairs there are three double bedrooms & a family bathroom.